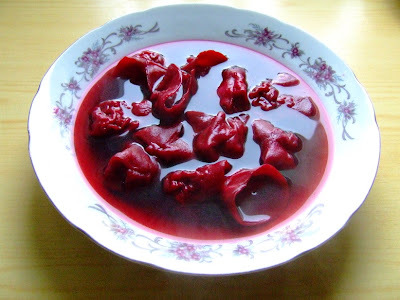 Have you ever tried one of the great Polish dishes called beetroot soup, or red barszcz? Because I noticed that many foreigners pronounce the name of this soup in a Russian way (borshch), let me teach you the correct Polish pronunciation of the word "barszcz" - you start with the sound of long [a:], like in a word "bar", then you follow with two consonant sounds [sh] and [ch], but harder than you usually say it. Next time - it will definitely be mittens or gloves! In addition to pattern links sent to me by Helene I also received a great source of Latvian mittens from Michelle (bardzo dziękuje!!! 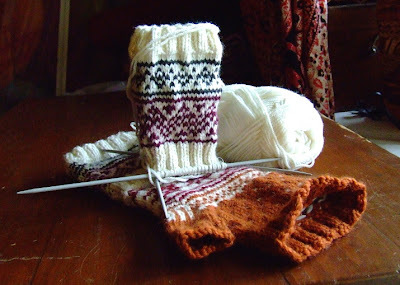 ), check this out: Latvian mittens! I was speechless when I looked through this site, there are no charts but knitted items, a real feast for the eye! 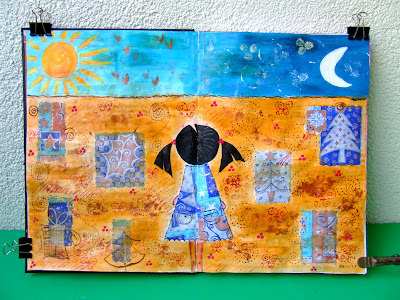 This is the page for the prompt by d'Blogala from the previous Friday, Wishes & Dreams. This one is an old IF prompt - Horizon. 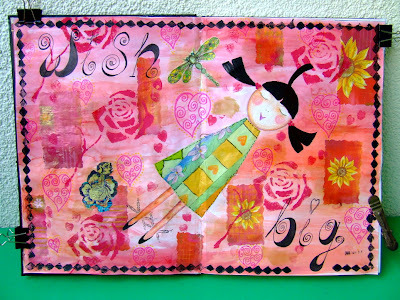 Love your new journal pages!!! So pretty! You were right that site with the mittens is beautiful!! Makes me want to knit some. those two pages are amazing, specially the first pink one - I love it a lot!